We can’t believe we are already a month into 2018! 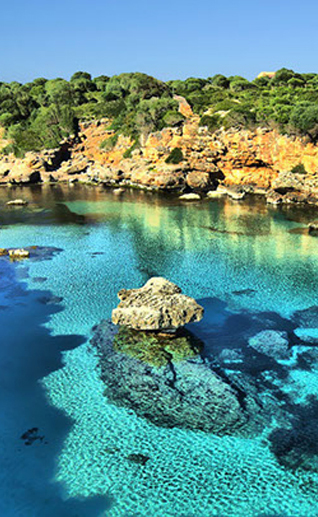 Mallorca is quickly becoming a top well-being destination. As we all know, it is the perfect place to enjoy all things health and fitness related. There are endless ways to live a healthy, happy and balanced life here and our goal is to connect and make all of these options accessible to you whether living on or visiting the island. Each person and business on The Guide is unique and can bring nourishment to your life in some way. We want to give you the opportunity to explore these. Whatever your interests or needs, take time to look at our new categories within The Guide to find that way or person to help you make you feel your very best in 2018. January is usually a month where New Year’s resolutions are made and perhaps broken. February can be another opportunity to set intentions or work towards realistic goals. Sometimes locking in and pushing yourself to take part in an event or workshop might be just what you need to get motivated again. Our Events calendar is quickly filling up with all kinds of exciting events, including the Spartan Race on the 3rd of March. Follow our stories on Instagram for the weekly roundup of all of the nourishing island happenings. Last year we welcomed a number of amazing contributors to our Feed and we are thrilled to already do the same this month. Join Amanda Butler on her wellness journey. She will be guiding us through steps we can all take to bring positive change to our lifestyle, our home and our planet. If you have children, look out for Gemma Sherlock’s section `Nourish The Kids´ as she explores and shows us what the island has to offer for the younger generation. Also, don’t miss Jan Edward’s food reviews. She will be visiting and sharing her views on some of the islands gastronomic hot spots. We are really excited to introduce and share the stories, advice and tips from these lovely ladies and all of our other contributors throughout the year. A weekly newsletter will be sent out with links to the articles for you to read and enjoy. Wishing you a fabulous February and hope to see you all around the sunny island soon.